African Christians who believe the half-truth that Christianity in Africa is the product of European and American missionary work need this book. 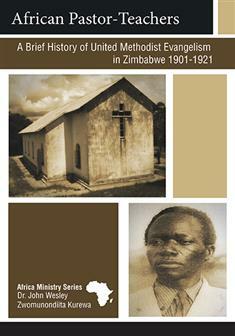 Dr. John Kurewa explores Methodist history in Africa, focusing on the early years of United Methodism in Zimbabwe (1890s-1920s). He reveals it was Africans who led the way in propagating the gospel. Missionaries strategized, but African preachers evangelized. So-called "native helpers" took the gospel to the rural areas and planted the churches, especially in the villages. Kurewa also reveals that in the course of serving the gospel in the African context, indigenous spiritual leaders crafted and modeled a distinctive form of pastoral leadership—the African pastor-teacher—that proved sustainable and fruitful then, and is relevant still today.